Kern County, California Car Accidents Attorneys with Over 40 Years of Experience and Success Rate of Better Than 95%! Kern County, California car accidents cause serious injuries, substantial property damage, and at times even fatalities with wrongful death claims, in Bakersfield and throughout Kern County. 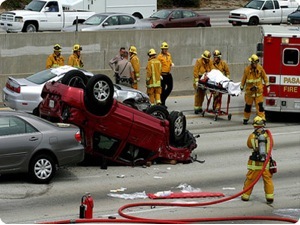 Our Kern County wrongful death, car accident personal injury claims lawyers have resolved thousands of injury and wrongful death accident claims with more than a 95% success rate. Our Kern County injury and wrongful death attorneys offer a FREE consultation and if we take your injury claim we do so on a contingency fee basis. That means there is NO fee unless and until you win! Thus, there is no need to worry about money and you should contact us now. Our Kern County personal injury & wrongful death accident law firm has over 40 years of experience in successfully resoling thousands of car accident, truck accident, motorcycle accident and other accident injury claims. Our accident lawyers offer help with injury & wrongful death claims throughout Kern County, including in Bakersfield, Maricopa, Rosamond, Tehachapi and Wasco. Our proficient car accident injury lawyers know how to handle car accident cases, from getting damaged cars towed and repaired, to immediate medical care without payment due until your case is resolved, free rental cars, to maximum settlements while providing legal advice and clear explanations of the claims process all along the way. To read what other clients have said about us, please see our testimonial section. There are many time rules (including the California statute of limitations) and procedural rules (e.g., in car, truck & motorcycle insurance policies, the California DMV, etc.) so please do not wait and risk losing your rights to make a recovery by making a mistake and missing a time deadline or key procedure. Please contact us now at 818-222-3400 or 1.866 INJURY 2 (after hours just dial “1”) for your FREE & CONFIDENTIAL consultation and case evaluation. Medical Care: Personal injury car accidents in Kern County, CA often leave victims dealing with serious injuries that require much medical and physical therapy. Our Kern County lawyers help our clients obtain medical care, including doctors, chiropractors, physical therapists, specialists such as orthopedic and plastic surgeons, neurologists, dentists and psychologists, usually without any payment until the claim is resolved. Moreover, clients can seek assistance for prescriptions, X-Rays, including MRI and CT scans, usually with no payment due until your claim is settled. Vehicle Repairs: Kern County, CA car accidents can cause heavy damages to cars, motorcycles and trucks. Our Kern County car accident lawyers and law offices help you with your vehicle repairs, total loss settlements, towing, storage and, if required, free car rental. Transportation to Doctors: Our Kern County accident attorneys help our clients in finding doctors, arranging appointments and, whenever required, often we can arrange transportation for injured clients to and from the hospital, medical clinic and other doctor and physical therapy appointments. Cash Advances/Emergency Loans: Kern County, California car accidents can weaken your finances especially with unexpected medical bills and added expenses to take care of at a time when you may miss out on work and suffer a loss of wages. Our skilled Kern County car accident attorneys and law offices will assist you in receiving loans and advances to cover these additional expenses. If you or anyone you care about has been involved in a Kern County, CA car accident or any motor vehicle collision, or a family member tragically killed leaving a wrongful death accient claim, call us right now for your FREE & CONFIDENTIAL car accident personal injury advice. You also may just visit our contact us form and tell us about your car accident or other injury accident case. You can see our lawyer profiles and get to know more about our experienced and well-qualified attorneys. Furthermore, learn about the formalities, procedures, and rules associated with Kern County, California personal injury and wrongful death car accident claims by visiting our Car Injury Accident Web Site;and for more specific help about your own particular car accident injury case please call us now at 818-222-3400 or 1.866 INJURY 2 (after hours just dial “1”) for FREE & CONFIDENTIAL consultation on your car accident injury case. Remember, our car accident injury lawyers offer FREE legal consultations and evaluations on Kern County, CA car, truck & motorcycle accident claims and take our clients’ cases on a contingency basis, which simply means there is NO fee until you WIN! Kern County, California is a county in the state of California. The county spans the southern end of the central Valley, ranging west to the southern slope of the Coast Ranges and east beyond the southern slope of the eastern Sierra Nevada. Its northernmost city is Delano and it reaches to the Grapevine on the south. The population in Kern County as of the 2010 United States Census is 839,631. It was seen to be the eleventh-largest county by population. 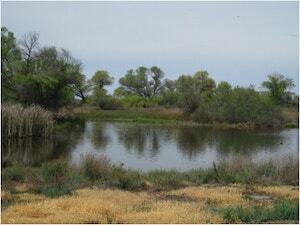 The center of population in Kern County is mostly located in the town of Buttonwillow. It covers a total area of 8,161.42 square miles. Kern Couny derived its name from the Kern River, which was named for Edward Kern, a cartographer for General John C. Fremont’s 1845 expedition. 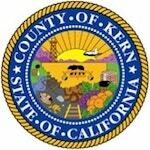 There have been severe earthquakes that have struck Kern County within recent historical times. 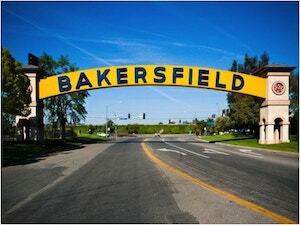 This county is considered to be a hotbed of country music, specifically the Bakersfield sound. The county has a large agricultural base and is a significant producer of oil, natural gas, hydro-electric power and geothermal power. Kern County is a hub for various power sources and accounts for one-tenth of the overall U.S. oil production. Some of the most loved outdoor recreational activities in Kern County are horseback riding, water skiing and auto racing. Kern County is and has been home to many famous people over the years including General Edward Fitzgerald Beale, Kevin McCarthy, Mary K. Shell and others. Our Kern County injury and wrongful death attorneys work extreme hard to help you manage your medical care. We help you find doctors with experience handling injury accident cases. We also pride ourselves in providing clear legal advice and obtaining maximum recoveries to resolve your claim. Here are some of our wrongful death & personal injury lawyers and law firms’ credits, awards and accomplishments. Served in the California Superior Court in the capacity of Arbitrator. To contact our experienced car accident attorneys, please call now on our toll-free number 1 866 Injury 2 or 866-465-8792 (after hours just press 1) or on 818-222-3400 (again after hours just press 1). The call and consultation are absolutely FREE! For an easy, free and confidential consultation, fill-in the details in our contact us form and fill us in on your Bakersfield and Kern County, CA car, truck & motorcycle accident or any other injury claim. As you see we offer an absolutely FREE & CONFIDENTIAL consultation AND there is NO fee unless & until you win. We work on a contingency fee for our services on accident cases, which means there is NO FEE until You WIN, so at this critical time you do not need worry about money! We are here to help you--please call us now. You will glad that you did!